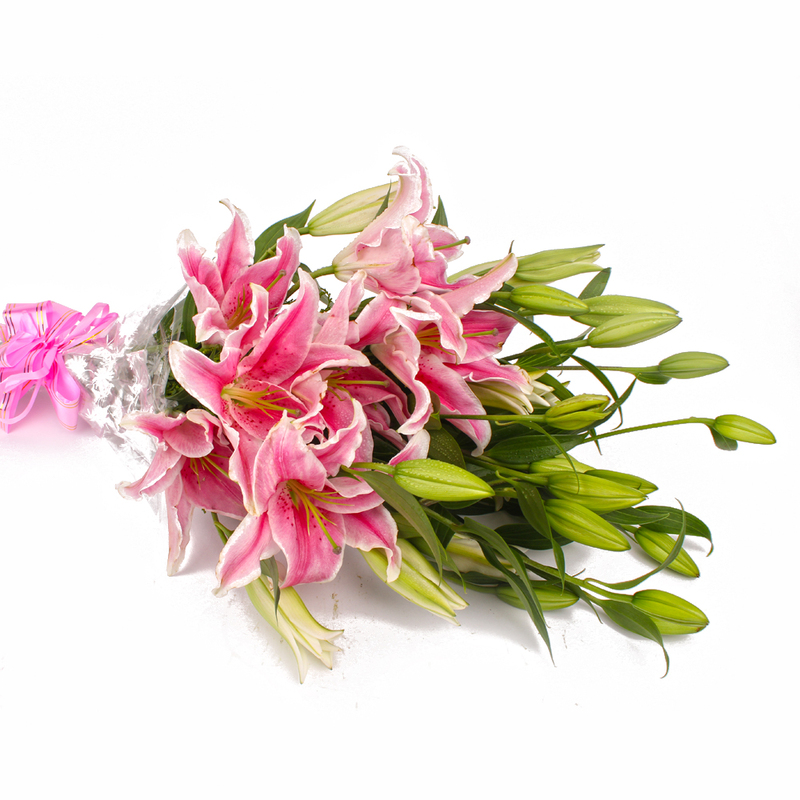 Product Consist : Ten Stem of Pink Lilies with green fillers in cellophane Wrapping with Ribbon Bow on it. 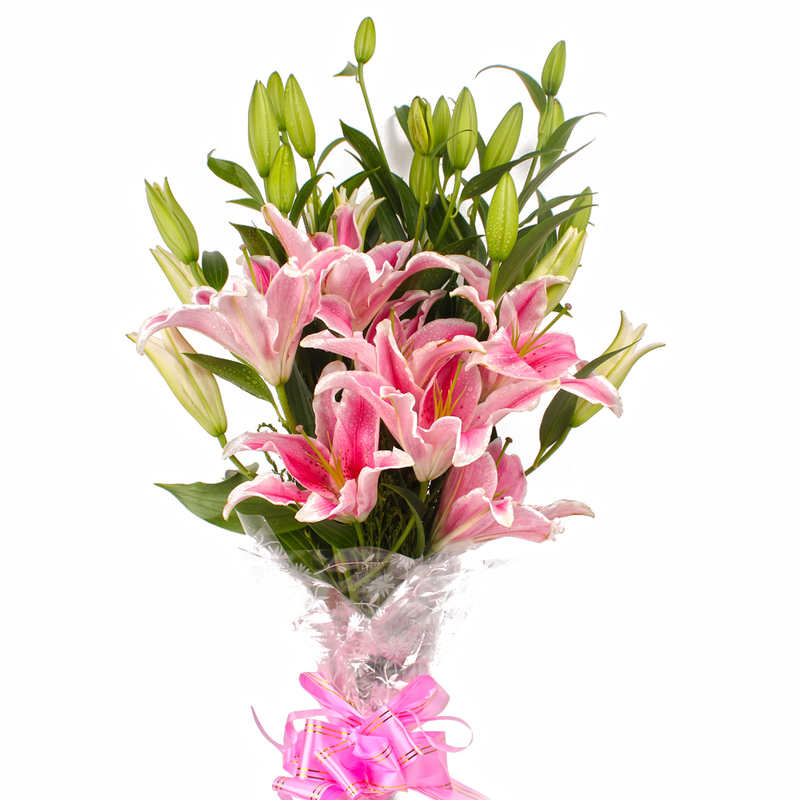 Long Stemmed 10 Stem of Pink Lilies in full bloom are beautifully arranged in this flower bouquet. 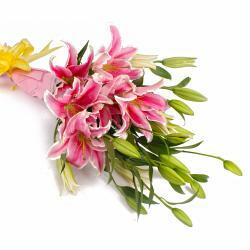 Send this Pink Lilies bouquet to India on any special occasions such as Birthday, Anniversary, Independence Day, Thanksgiving Gift, Friendship Day. The greens have been intelligently used so as to surround thelilies small buds and petals in a circular pattern. 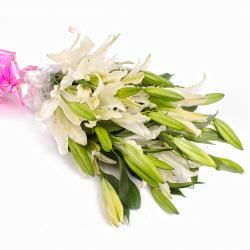 The long stems will help to balance this flower bunch. 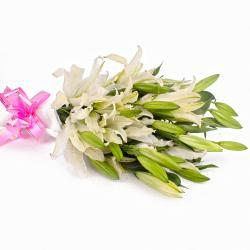 You may also send exlusive Gifts to India to your near and dear ones through Giftacrossindia.com. 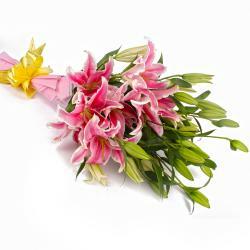 Product Contains : 10 Stem of Pink Lilies with green fillers in cellophane Wrapping with Ribbon Bow on it.